Apply to the Solos Nurse Scholarship! As more surgeries are being performed in the outpatient setting, there is an increased need for closer monitoring to assure exceptional outcomes and results. 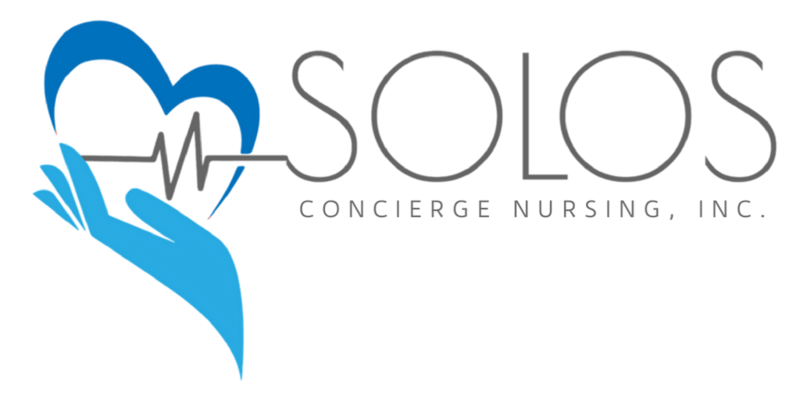 From home to hospital, hotel to doctor's office Solos nurses will transport you and provide the ultimate privacy in concierge care. With 100+ years of experience on our team, rest assured we will have the most experienced and talented nurse available to help you. Solos nurses believe everyone deserves a support system. No one should feel alone. Before, during and after surgery: Solos Nurses are experts and the ultimate support at every stage of your surgical journey. My experience with SOLOS – and particularly with Mallory and Lisa – was outstanding. They provided truly professional and compassionate care – genuine and sweet, while being meticulous and purposeful. I would not hesitate to recommend them to my closest friends and family and would again put my implicit trust in the team at SOLOS. Thank you! My surgeon's office recommended Solos as an option for when I returned home after an extensive surgery and my husband had to return to run his office. Ashley was excellent. She was able to help me understand what was expected, what we should worry about and was an overall comfort during a vulnerable time. I would recommend Solos to any of my friends who have an upcoming recovery, especially Ashley. I am so lucky and grateful that I was referred to Solos. I traveled to Phoenix area for intensive surgery. From the moment I woke up from Anesthesia all of the pain, challenges and steps towards recovery, I was confident and healthy all thanks to Solos. The nurses have a vast of knowledge and experience that is life saving, literally. After a month of amazing care I hope to have Solos for any future surgical procedures.